A new addition to the family can provide years of loyalty and love – but perhaps we should think about where we’re buying from. A growing desire for pure-bred pets has seen a surge in the number of puppy farms operating across the country – facilities which function solely to maximise the output of desirable dogs. Puppies are often sold to pet shops, where they are purchased by adoring customers, sometimes for thousands of dollars. Sadly, dogs bred in puppy farms are often subjected to unhygienic and cramped living conditions. These puppies may find themselves susceptible to disease and illness, and will often develop behavioural problems as a result of their rough start in life. But more than this, their mother’s will often be subjected to a lifetime of torment – living in cold, factory-like conditions with their babies invariably being taken from them after a period of care. What Does the Law Say About Puppy Farms? In New South Wales, there is no specific law banning puppy farms. In fact, a puppy farm can be run legally with permission from the local council. There are no renewal, registration, audit or inspection requirements that apply to puppy farmers. However, those who breed animals in inhumane conditions may find themselves in breach of animal cruelty laws. For instance, section 8 of the Prevention of Cruelty to Animals Act 1979 states that people in charge of animals must provide them with ‘proper and sufficient’ food, water and shelter. A person may be convicted of this offence if they fail to provide animals with food, shelter or clean water for a period of 24 hours. Section 9 of the same Act states that a person who is in charge of a confined animal must ensure that it receives adequate exercise. A person can be convicted of that offence if the animal has not been released from confinement for a period of 24 hours. However, this section does not apply to animals that are normally kept in cages (such as rabbits), or stock animals other than horses. 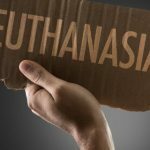 The maximum penalty for these offences is $27,500 in the case of a corporation, or $5,500 for an individual person and/or 6 months imprisonment. 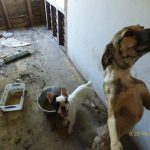 Animal rights groups around the country have described the squalid living conditions that scores of animals are subjected to – with many being denied access to fresh water, even on hot summer days. On one puppy farm in Northern NSW, dogs were reportedly found living in cramped disused portable water containers. 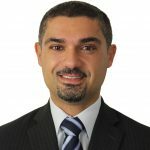 Is There a Need For Stricter Regulation in NSW? 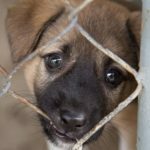 With an estimated 200 puppy farms operating across the state, animal lovers have called on the government to introduce more stringent laws to better protect dogs. Animal rights activist Deborah Tranter, who founded the group ‘Oscar’s Law’ in hopes of raising awareness about and ultimately banning puppy farms, has seen up to 375 dogs living on a single farm, for the sole purpose of breeding. According to Ms Tranter, the practice is entirely unregulated – allowing unscrupulous breeders to get away with abusive practices with little fear of repercussions. Meanwhile, they are able to rake in enormous profits, advertising puppies for up to $1,500 each. Animal rights groups say that the proliferation of online trading sites such as Gumtree allows puppies to be easily bought and sold to people around the nation. They add that the cunning use of the internet makes it incredibly difficult to locate unscrupulous breeders. Puppies are often shipped via freight or courier services to their new owners – or to pet shops, which often display puppies in cramped glass cages for days on end. Pet shops are often secretive about where they source puppies from, with many denying that they buy from puppy farms – but groups like Oscar’s Law suggest that the practice is prevalent. And despite the tough penalties that can apply, many puppy farmers avoid prosecution simply because animal welfare groups like the RSPCA are massively under-resourced. The RSPCA has the monumental task of identifying and prosecuting those in breach of animal cruelty laws. 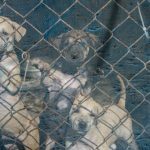 Last year, the organisation stated that it is unable to effectively investigate puppy farms as its 30 inspectors is not enough to investigate the thousands of complaints it receives each year. It has therefore called upon the government to impose a $50 annual levy on animal breeders to help fund its operations. 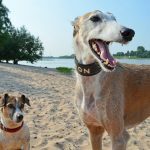 lans to introduce policies to limit the number of litters by a single dog to five, after widespread allegations emerged about cruelty in the greyhound racing industry. However, the Baird government has not yet signalled whether it will adopt any of these measures. Other areas around the nation have taken steps to crack down on puppy farming. 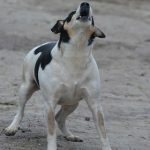 Two weeks ago, the ACT introduced new laws which impose penalties of up to $15,000 for an individual who is found to have ‘intensively bred’ dogs or cats. Corporations could face even heavier fines of up to $75,000. The Minister will also be empowered to introduce ‘breeding standards’ which specify a minimum age for breeding, and an age at which animals must be retired from breeding. Under the new laws, breeders will also be subject to a licensing scheme which will require them to submit to site inspections by animal welfare officers. Victoria also has plans to introduce new legislation following the election of the Labor government in November last year. Victorian laws will see dogs limited to producing five litters in their lifetime, while breeders will be allowed to keep a maximum of ten breeding females on site. And pet shops will only be allowed to sell animals from registered animal shelters. Meanwhile, it seems that NSW will continue to lag behind those jurisdictions, with Premier Mike Baird refusing to comment on whether he will take any steps towards banning puppy farms.